Marshall “Major” Taylor was an African-American cyclist who overcame discrimination and won the world one-mile track cycling championship in 1889. 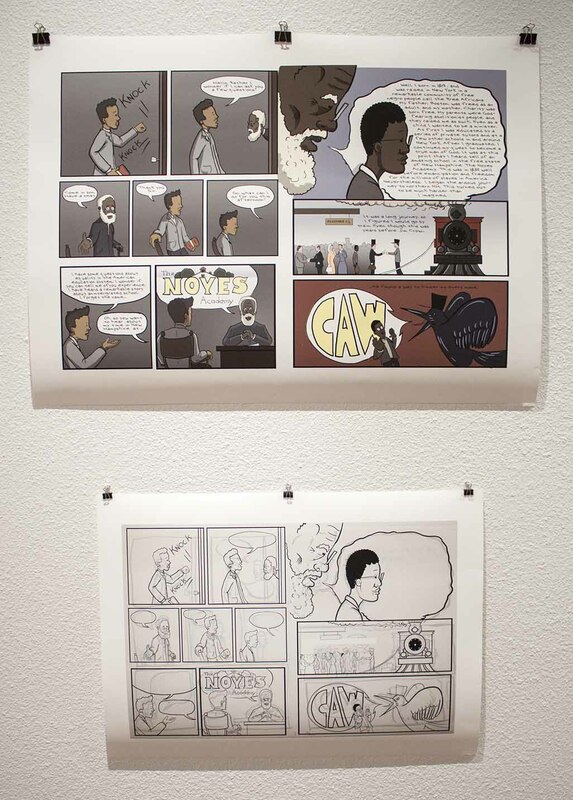 Comic artist Joel Christian Gill visited South Campus to show his work and talk about obscure black history March 4. 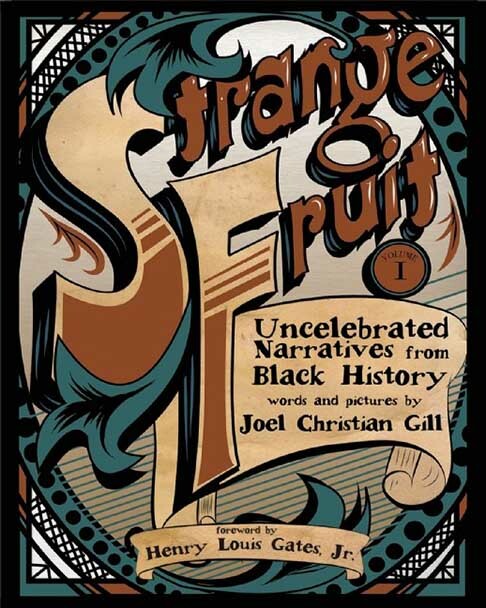 Gill spoke about his journey as an artist, his comic Strange Fruit and his views on African-American history and American culture. Gill wanted to draw comics, so he attended community college and went into the graphic design program. He took a painting class and fell in love with painting, spending the next few years doing so. When he moved to attend Boston University, he was warned by a friend to avoid some places at night. 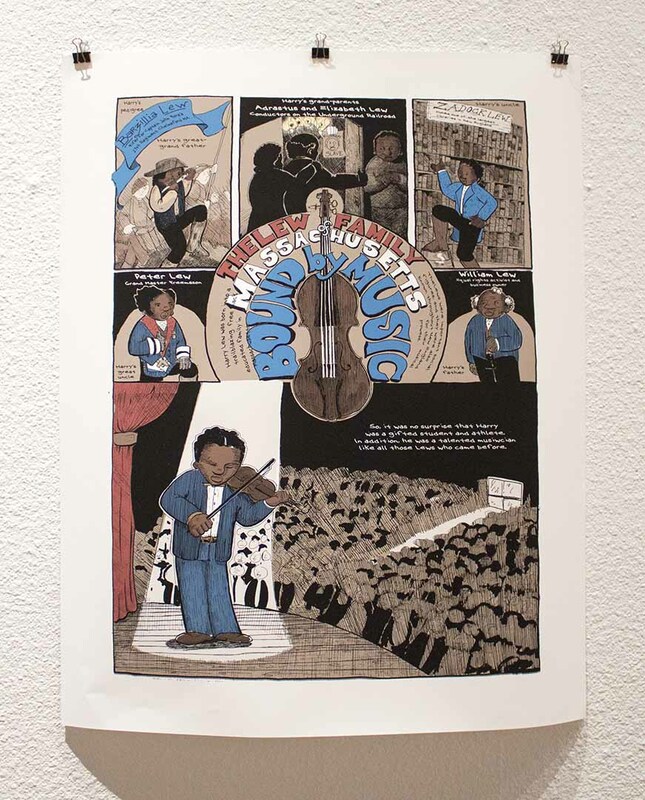 Gill credits African-American artists since World War II for his drive. “One of the paintings in that group was a painting with a noose around my neck, and the noose was frayed,” he said. 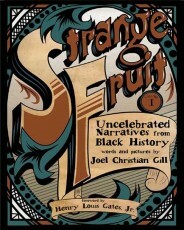 The piece was called “Strange Fruit: He Cut The Rope” and would become the centerpiece of his series. Gill says he wanted to show how students from the Noyes Academy had racial slurs hurled at them not with words, but through a pictographic symbol. At his gallery, a friend told Gill his paintings were trying to tell a story but failing. So Gill went back to comics to successfully tell stories. While researching, he came across the story of Henry “Box” Brown, a slave who mailed himself from Virginia to Philadelphia. 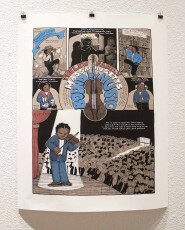 After he drew Brown’s story, he started to sell his comic at indie comic shows. 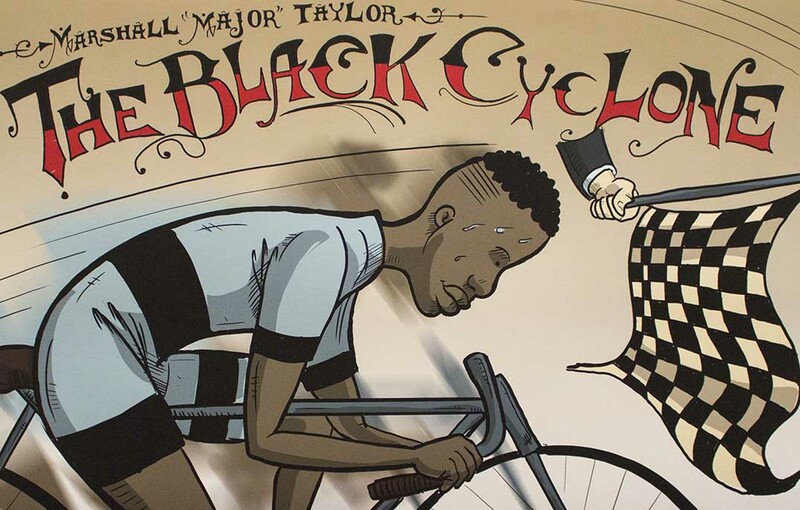 When people saw his comic, they would begin to tell him other stories, such as Harry “Bucky” Lew, the first black man to integrate professional basketball in Lowell, Massachusetts, and Richard Potter, the first African-American magician and first successful American-born stage magician. When approached by publishers, Gill was told they didn’t like the title, but he kept it anyway. He asked Henry Louis Gates Jr., director of the Hutchins Center for African and African American Research at Harvard University, to write a forward. Gates wrote it and defended the title without Gill asking. Strange Fruit highlights 10 little known African-American men from the past. 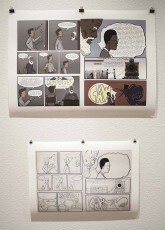 Pages and edits from Gill’s comic are currently on display at the Joe B. Rushing Center of Performing Arts on South Campus.